When I was asked to design a new co-working space housed inside an expansive warehouse with an abundance of natural light in Surry Hills, I jumped at the chance. Industrial meets green was the theme created for WOO! Space and with a lean start-up budget, and a tight deadline, many pieces were sourced secondhand. I loved working on a project where we could re-use, recycle or repurpose pieces of furniture from around Sydney, all of which contributed to the overall finished look of the space. Secondhand cork floor tiles were repurposed into a huge cork board wall, old trestle tables became share desks and crates were fashioned into pot plant stands. Aside from natural textures, the space also features an abundance of plants – the perfect finishing touch! 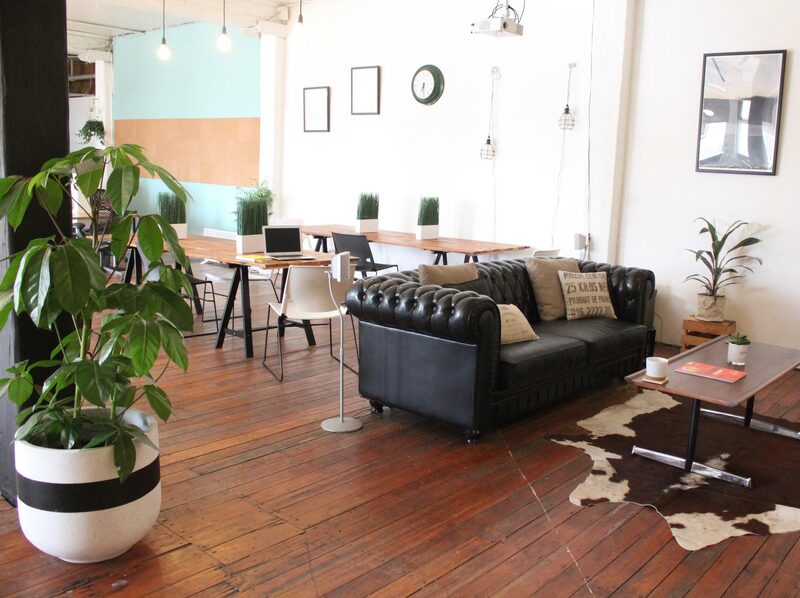 ?This Sydney Co-working space will have you hanging for Monday? Laura has now decorated two of my 'offices re-imagined', which are beautiful open plan warehouse style spaces, used for both co-working and events. I couldn't be more pleased with the final product. Laura did such amazing things, on a pretty tight budget, and we had such fun working together which was a bonus. From finding the most beautiful one of a kind pieces, to creating bespoke furniture and painting feature walls, she curated every aspect of the interior decorating with such skill. Our unique and inspiring spaces have already been featured on Interiors Addict and used for location shooting on The Project. Amazing!